"... version of the library website), free access to the presented collections and open codes, enabling ..."
"... subsystem of the library system, and the activities of the Center on accessible tourism - as systemic. 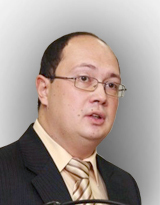 ..."
"... of the Republic of Sakha (Yakutia) in the work of the National Information Library Center LIBNET" (LIBNET Center ..."
"... Interview with A. Gorelik, Director of the UN Information Center in Moscow. ..."
"... Library for Science and Technology, an well-known expert in library science and a member of the Editorial ..."
"... in the Center of Oriental Literature of the Russian State Library. ..."
"... of the multifunctional centers based on the regional research, municipal and special libraries and conducted the analysis ..."